Originally released all the way back in 2012 for the iPad, The Room ($0.99) was a delightful surprise. 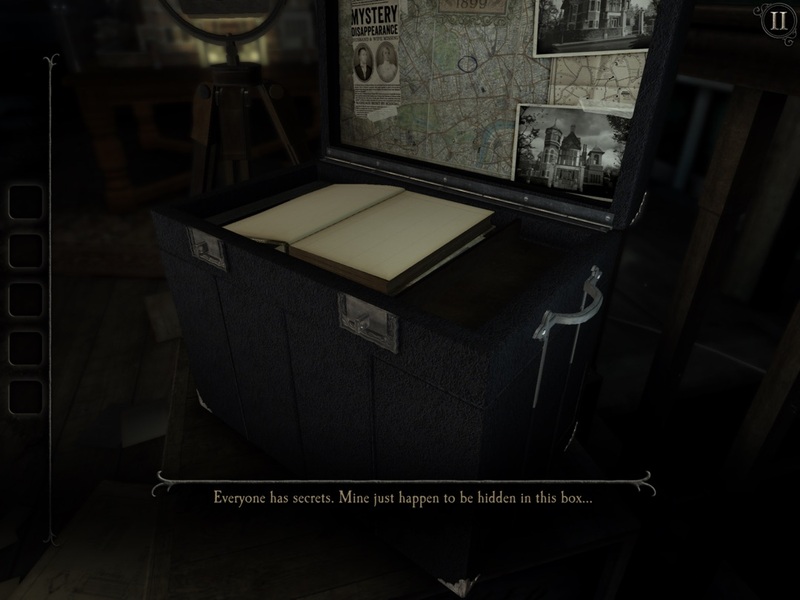 Using touch gestures you interacted with a puzzle box that was absolutely packed with secrets. When we first reviewed it, the main problem with the game was that while it was a great game it just abruptly ended in a way that felt like you had all this build up with no payoff. An epilogue update hit almost a year later which did a great job at not only adding some more content to the mix, but also giving the game a much needed ending. (My theory on all this always was that the developers at Fireproof Games really didn’t expect The Room to be as successful as it was, so there never was much thought to making the game a series and how they’d need to link together.) The Room Two ($1.99) was released in early 2014, and as we explain in our review, it improved upon the original in every way imaginable. Instead of there just being one room, The Room Two had you interacting with multiple different puzzle box-like objects in a bunch of different rooms. Overall, it felt much bigger while still being intensely connected to the roots of the original title. In late 2015, The Room Three ($3.99) hit the App Store, and once again, we were excited to dive into the game with our review. It would be real difficult to argue that The Room Three should have been scored any less than five stars, but I personally wasn’t that wild about the new direction of the game. Instead of focusing on puzzle boxes, it seemed like The Room Three leaned a little too heavily on inspirations from games like Myst ($6.99). I’m very happy to report that The Room: Old Sins returns to what I loved in the series, and feels far more like The Room Two than The Room Three. This time around, the game opens with a familiar tutorial that lays out the intuitive touchscreen controls. Basically, you pan the camera around by dragging your finger, and move in and out of objects by double tapping on them to zoom in and doing the familiar iOS pinching gesture to zoom out. Once you’ve zoomed into an object you can interact with, you can manage all sorts of levers, latches, and other sorts of gizmos by just tapping or dragging them. How well The Room games control is pretty wild, as the original one really felt like you were interacting with a real puzzle box and as mobile hardware has gotten better over the years the increase in graphical fidelity only makes Old Sins feel more real. 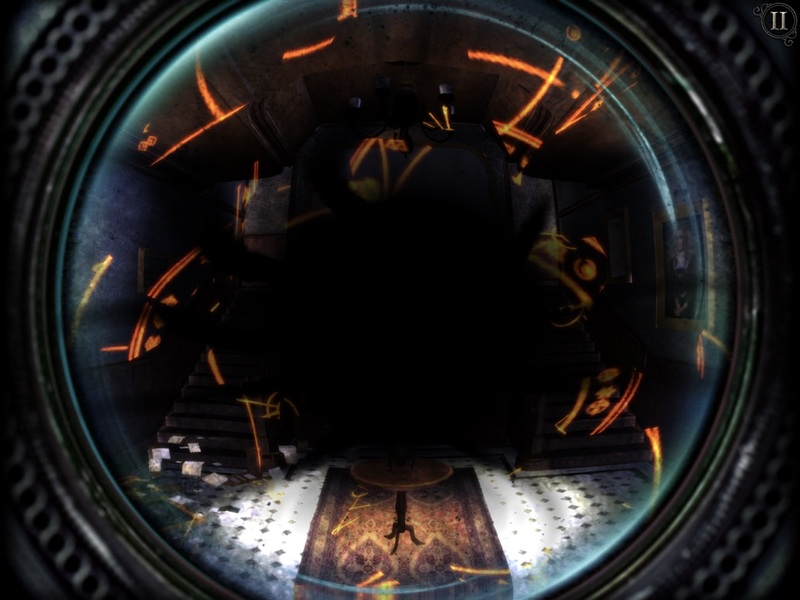 A constant tool you’ll be using throughout the game, like other titles in the series, is your eye piece which when used reveals additional secrets on an object. Like the games before it, solving the puzzles in The Room: Old Sins involves panning around puzzle boxes, figuring out which levers or sliders to spin in the right way, collecting items (which sometimes are puzzles themselves), and using those items in sometimes obvious and sometimes not so obvious ways to proceed, all while constantly looking through your lens to make sure you’re not missing anything. Like previous games, there’s a bread crumb trail of plot elements leading you along, but you can either choose to get totally involved in it or really just ignore these snippets entirely and focus on the puzzles. I’m not really going to get into them in this review for the sake of avoiding spoilers, but let’s just say mystery is everywhere. Stepping back a bit, Old Sins takes a pretty clever approach to how the environment of the game works. 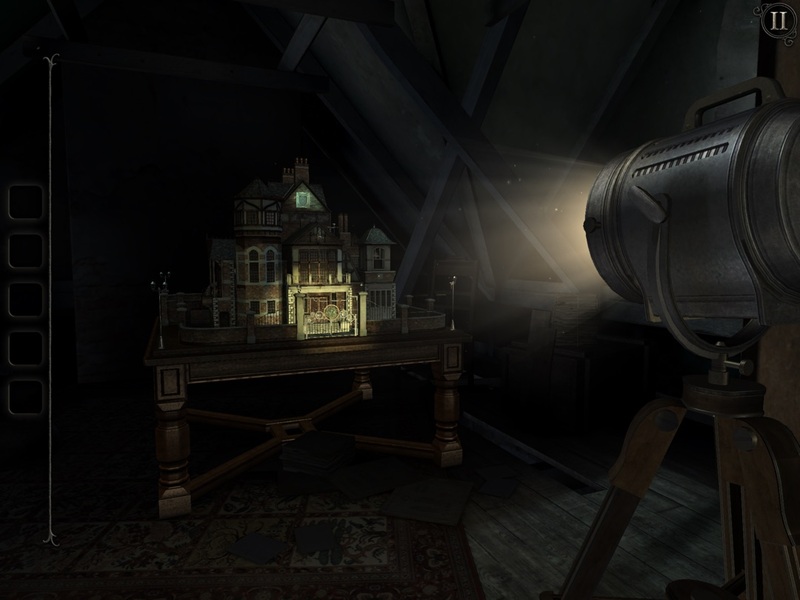 Primarily, you are interacting with a dollhouse as the main puzzle box which makes it feel a lot like the original The Room with one primary object absolutely dripping with secrets. However, using the eye glass, like previous games, you’re able to warp inside of the doll house when you see certain rainbow-y areas. In this case, you look through your eye glass, and zoom right in. By interacting with different rooms inside of the larger doll house, they’re able to create a larger environment filled with things to do without feeling overly environment focused like The Room Three. It’s sort of weird how well they nailed this, in fact. Items feel like they play a slightly larger role than previous installments, with you often having an inventory full of seemingly random things which all get used together in different ways to complete some of the more complicated puzzles. The epiphany that comes from the whole “I have no idea what to do with this thing" when you finally figure out when and how to use your items is as intact as ever, and potentially even more so in Old Sins. Oh, and the fabulous hint system that The Room games used is back. Basically, it’s super difficult to ever get truly stuck in this game. After you spend enough time fiddling around trying to figure out what to do next, the game will offer a very vague hint which pushes you slightly in the right direction. 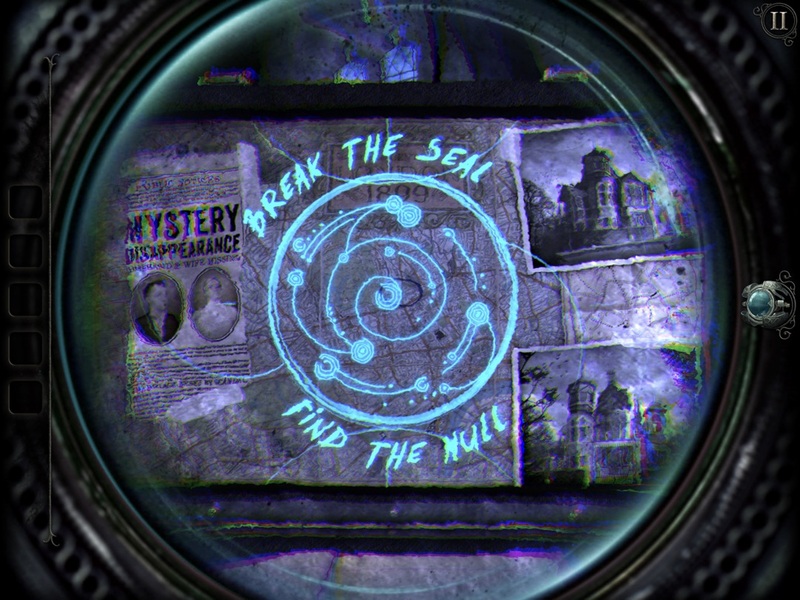 If more time passes and you’re still stuck, you get another more detailed hint. This keeps going until Old Sins basically straight up tells you what to do next. I really, really like how this works as you never hit a point where you’re frustrated and have no idea what to do. Reviewing the fourth installment of a fabulous game series at this point feels like more of a formality, because of course Old Sins is good. Anyone even remotely interested in iOS gaming by now has played at least one of The Room games, and if you haven’t, you should really go back and check them out (along with our associated reviews). Aside from some historical plot points involving The Null (a persistent element of these games, which you learn more about as you play), you’re really not missing a whole lot by just jumping into the fourth game of the series first. That being said, I’d consider all The Room games must-plays, so, where you start is up to you. It doesn’t surprise me that Old Sins is fantastic, as I doubt it surprises anyone who has been paying attention to the series. In a nutshell, The Room games are among the best puzzle games the App Store has to offer, and Old Sins falls right in line with the three previous amazing titles.